The Conference of the Birds (also known as Mantiq al-Tayr) is a 12th century Persian poem written by Farīd ud-Dīn ‘Attār. This picture is from a Safavid book from the early 17th century. It is in the Metropolitan Museum of Art. In the poem, the birds of the world gather to choose a king, believing that it would bring harmony to all the birds. 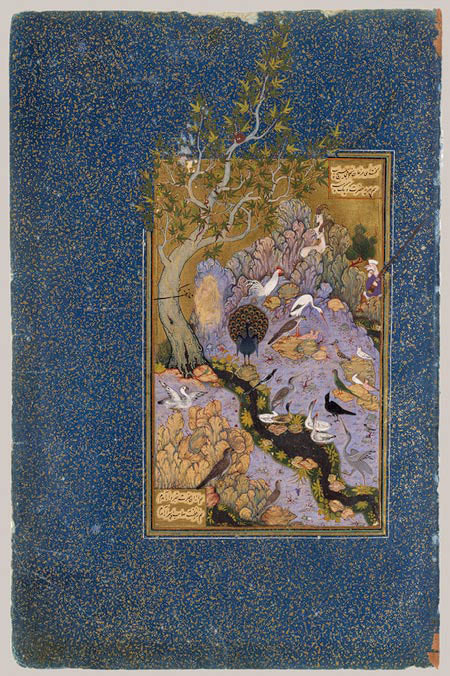 The hoopoe bird, wisest of the birds, persuades the other birds to seek out the Simurgh, which lives on Mount Qaf. The birds travel through the valleys of quest, love, gnosis, contentment, unity, wonder, and poverty. When they reach the Simurgh, only thirty birds remain. They see themselves reflected in the Simurgh, so see themselves. The poem is an allegory on the Sufi path to Allah through self-annihilation. Bird Parliament by by Farid ud-Din Attar. Translated by Edward FitzGerald (1889). The Conference of the Birds. In four parts. This entry was posted in Uncategorized and tagged manuscripts, mythology, Persian, poetry. I have muddled through enough translation of the pdfs to glean a date, and if you want the whole raw document pm and I can send you it as an attachment. Thanks so much for the translation. I wasn’t sure anyone had even gone to the other site, let alone translated the French. What date is in the pdf? Are you interested in embroidery? The date is 3rd to 9th centuries A.D. The (possibly) single dig was apparently a large success. 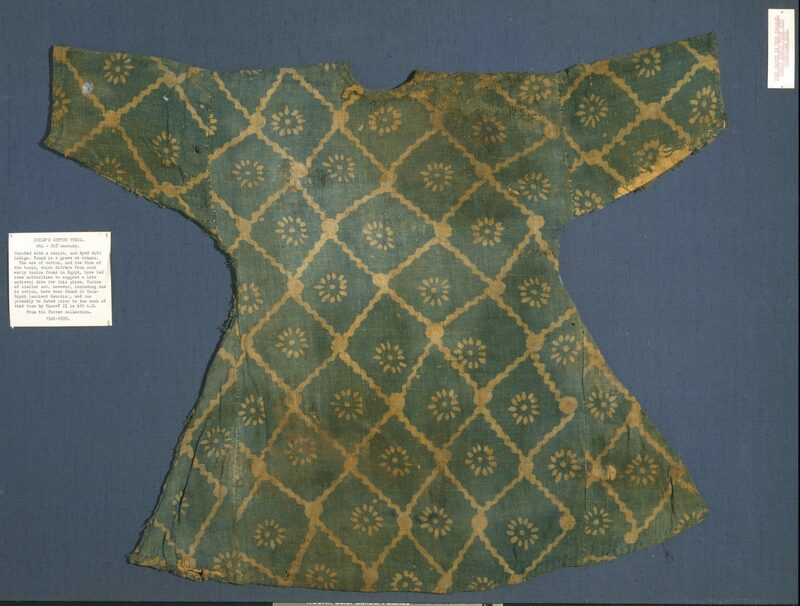 I am interested in specifically embroidering a qbit tunic for my brother, so I have also charted Folio 2, part one, plate 29. That sounds wonderful. 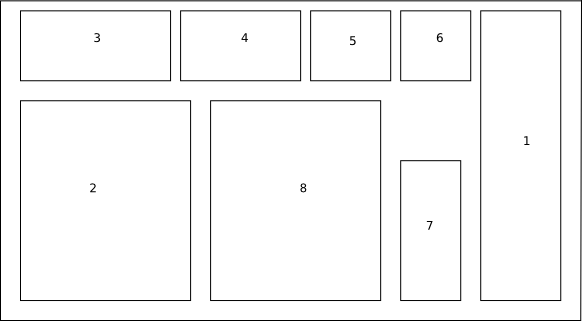 Would you like to make your chart public? I would be honoured to publish it for you.